Soooo who loves the MINIONS?? We can’t wait to see the new Despicable Me movie and it’s oh so funny and lovable Minion Characters. My kids are soooo excited. In order to get into the Minion groove so to speak, I thought some Minion Craft Ideas would be in order. 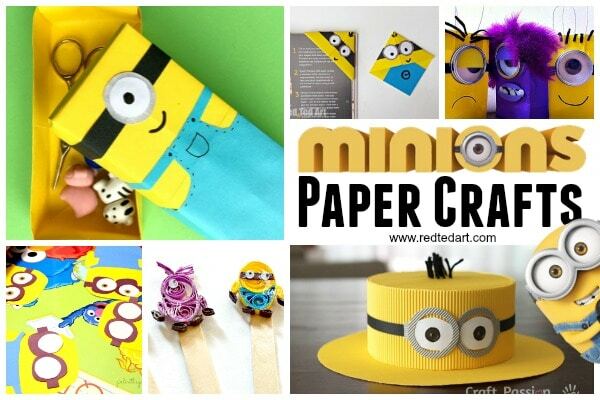 Today we begin with some Minion Paper Craft Ideas, with lots more Minion Crafts to follow. 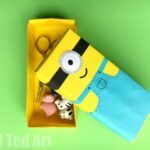 But because we LOVE Paper Crafts here on Red Ted Art so much, I thought a special Minion Paper Crafts post would be in order. 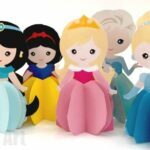 There are two parts to this – the Minion Paper Crafts where you “just need paper” and some fabulous Minion Paper Crafts where you can simply hit “print” and get a fabulous set of Minion Printables to download! 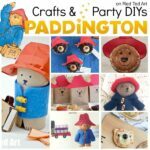 Remember we like to update these posts over time.. so do pop back every so often to see what I have added! 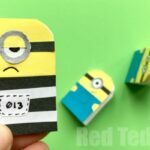 Minion Paper Craft – Getting ready! Similarly we have a fabulous Despicable Me TP Roll Gift box or Minion Favour Boxes at a Birthday party – will with treats, sweets, small gifts, anything really! 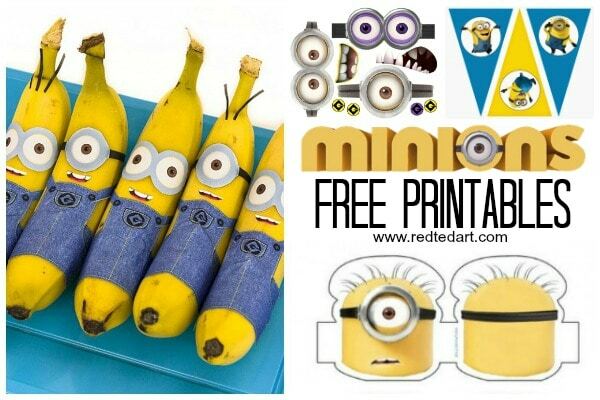 Decorate your gifts as Minions.. with these Minion Paper Gift Wrap Ideas by Must Have Mum! 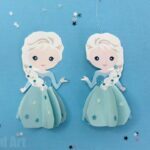 We love DIY Cards. 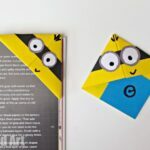 Whether you are making Minion Birthday Cards or One In a Minion Valentine’s Day cards, here are some cute ideas to get you started on your own DIY Minion Card Making ideas! 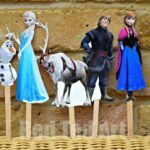 These Despicable Me Printables are all free.. and are a great way to speed up the Minion Paper Craft making. There are some great Minion Printables for parties and birthdays, as well as some fun educational Minion Printables. 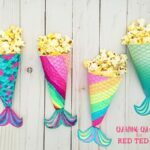 As before, I WILL be adding to these over time.. so do come back and see what is new in the land of Minion Printables!! 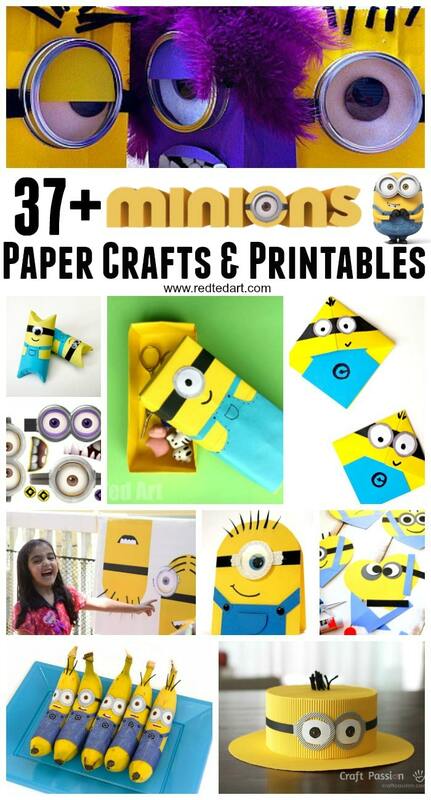 I hope you find these Minion Paper Crafts and Despicable Me Printables useful! 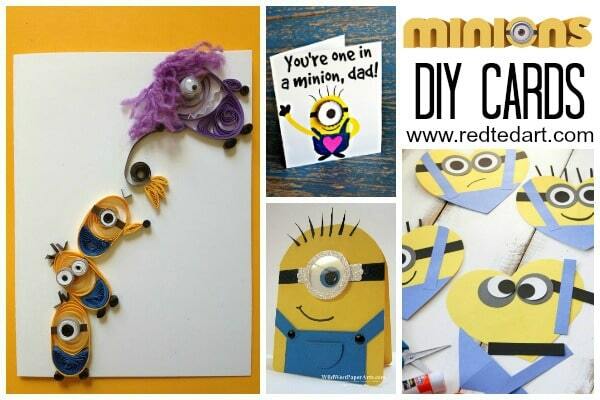 Remember to come back for EVEN MORE Minion DIY fun!! The banana printables are so cute! Thank you! 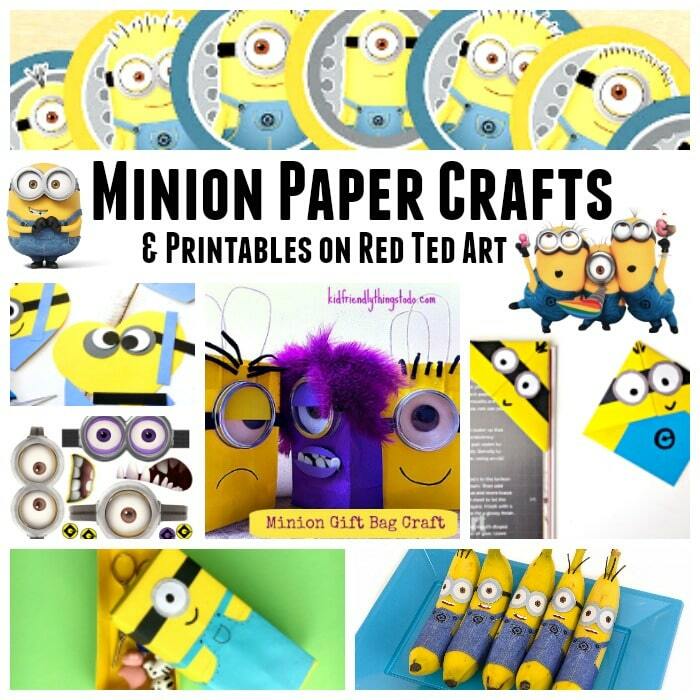 Amazing list of Minions Paper Crafts & Printables. You are doing a great job Maggy. I love the Cupcake & Banana list. They are so adorable.